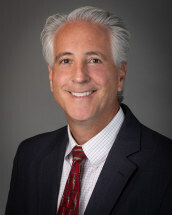 Laurence P. Dugoni is a partner at Barulich Dugoni & Suttmann Law Group, Inc. Mr. Dugoni has been certified by the State Bar of California Board of Legal Specialization as a specialist in estate planning, trust and probate law. Mr. Dugoni is also a Certified Public Accountant. Mr. Dugoni's law practice focuses primarily on estate planning, trust and probate law, estate and gift taxation, as well as asset protection planning. He has extensive experience advising high net worth individuals, families and business clients, and has testified as an expert witness in these matters. Mr. Dugoni has lectured on various topics, including estate planning, estates and trusts, income taxation, estate and gift taxation, as well as various asset protection strategies. Mr. Dugoni worked as a Certified Public Accountant for PriceWaterhouse Coopers from 1991 until 1994 where he advised high net worth individuals and corporations on various tax matters.